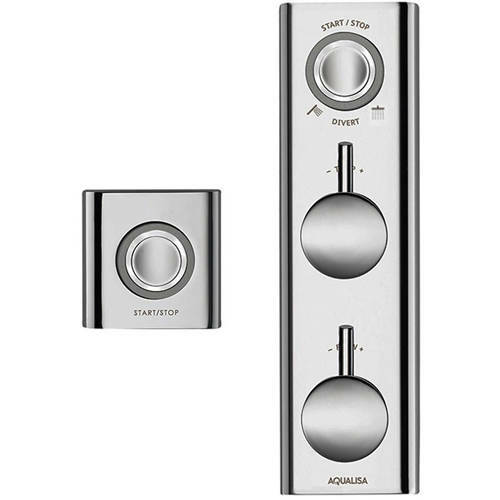 Aqualisa HiQu > Digital Smart Shower Valve Kit 08 (Gravity). 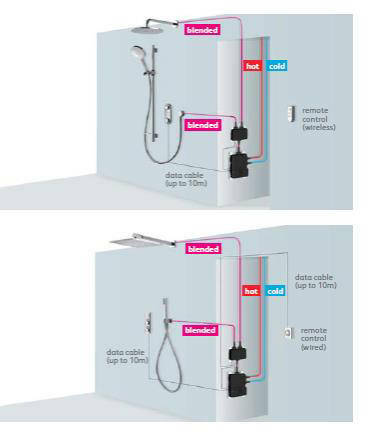 Aqualisa HiQu Digital smart dual shower valve kit 08 for gravity pumped systems (thermostatic). Complete with remote control. Adjustable shower rail system (900mm). Chrome round wall outlet (brass). Smooth shower hose (1.5 meters). Thin square metal head (300mm). 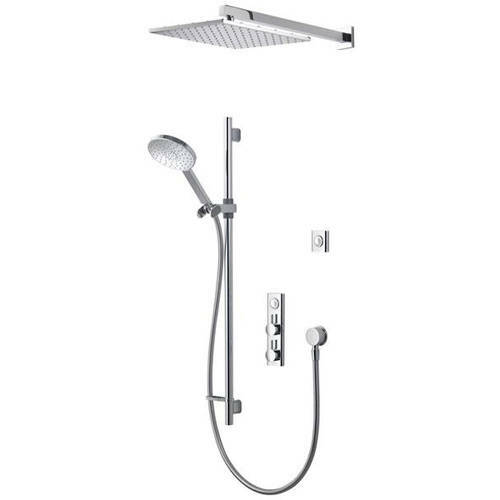 Wall mounted square shower arm (450mm). 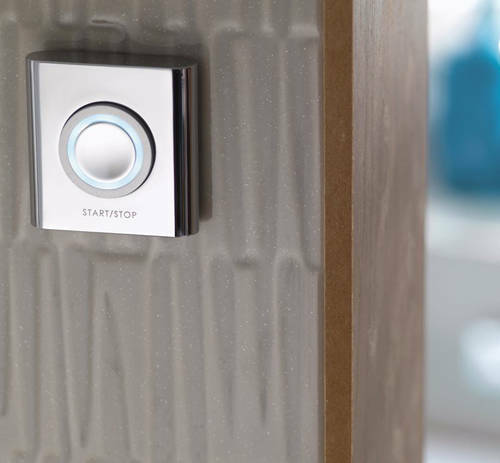 5 Year guarantee: Aqualisa guarantee this HiQu smart digital shower valve kit for 5 years.